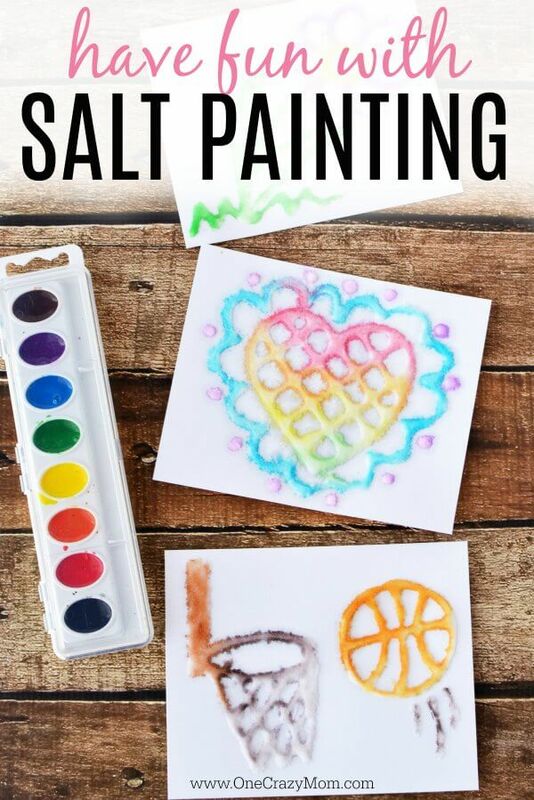 Salt Painting - Learn how to make Salt Art with your kids! I’m always trying to come up with new ideas and crafts to do with the kids. Something that is fun and will keep their attention but not require a ton of supplies or expense. We learned how to make puffy paint and today it’s all about Salt Painting. It’s a really fun activity and it’s always a big hit. You will probably have most of the supplies on hand so it’s all very easy to put together. Kid’s get to make a design out of glue and then salt is sprinkled over the design. 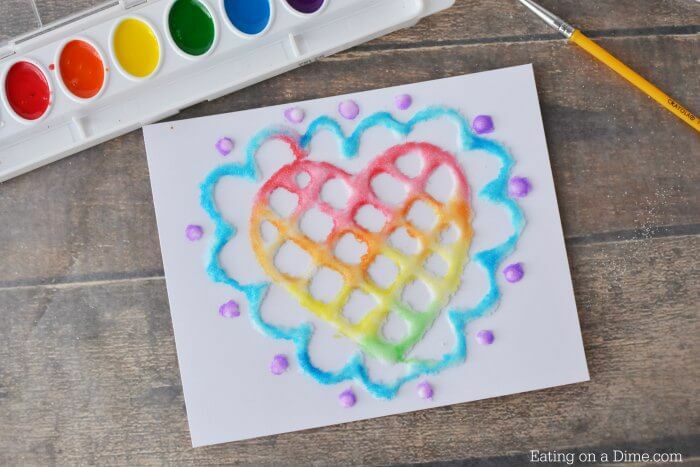 Watercolors complete the design for a gorgeous craft project. I use Crayola water colors but you can use the brand you prefer. 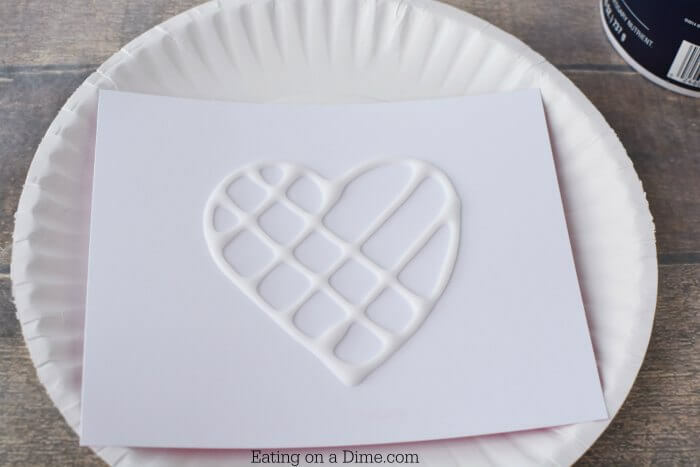 It’s such a simple project and so cheap to make that you will love doing this! 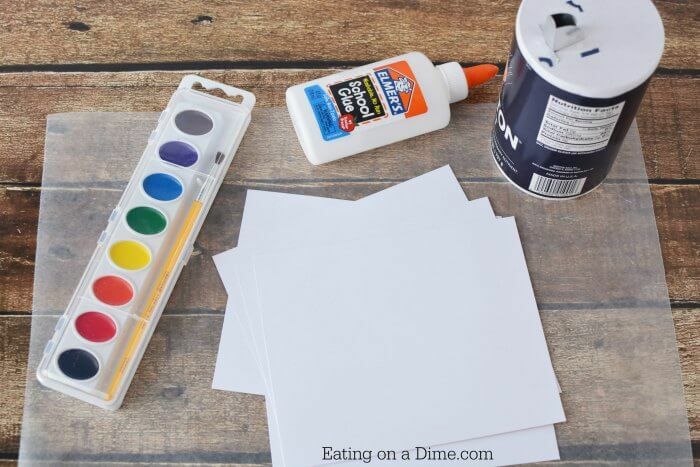 Don’t forget to use card stock because you need something that will hold up to the salt and paint. Regular paper will be too thin. 1. 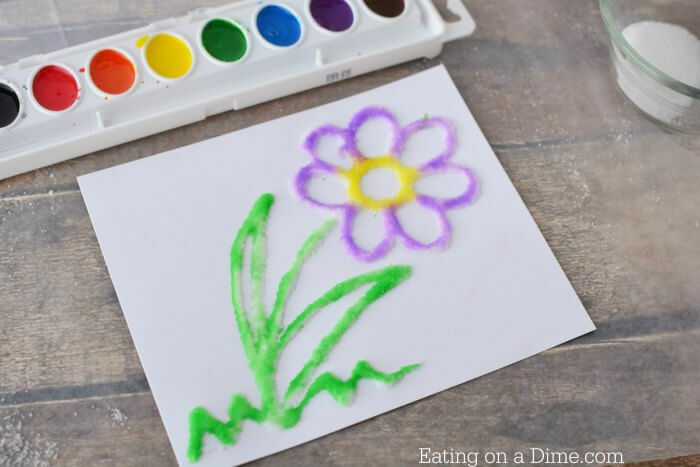 Use white glue to draw a design or picture onto a piece of card stock. I like to cut small pieces that fit onto a paper plate. 2. 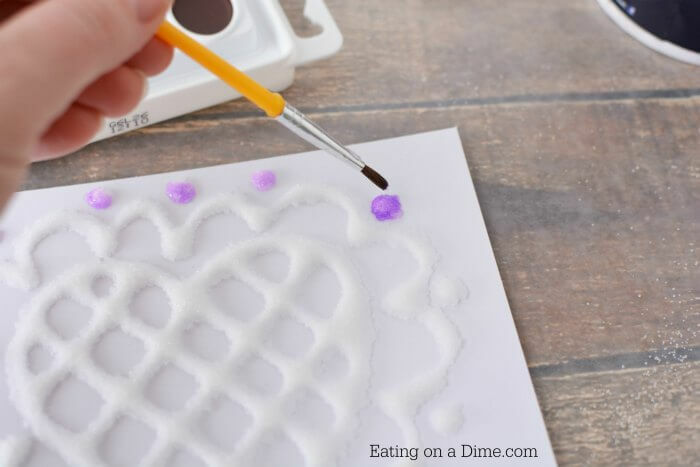 Once you are finished with your glue drawing, liberally sprinkle salt onto the glue. 3. Gently shake off onto the paper plate and set the plate aside. 4. Place your salt covered card stock onto a flat surface covered with newspaper or wax paper. 5. 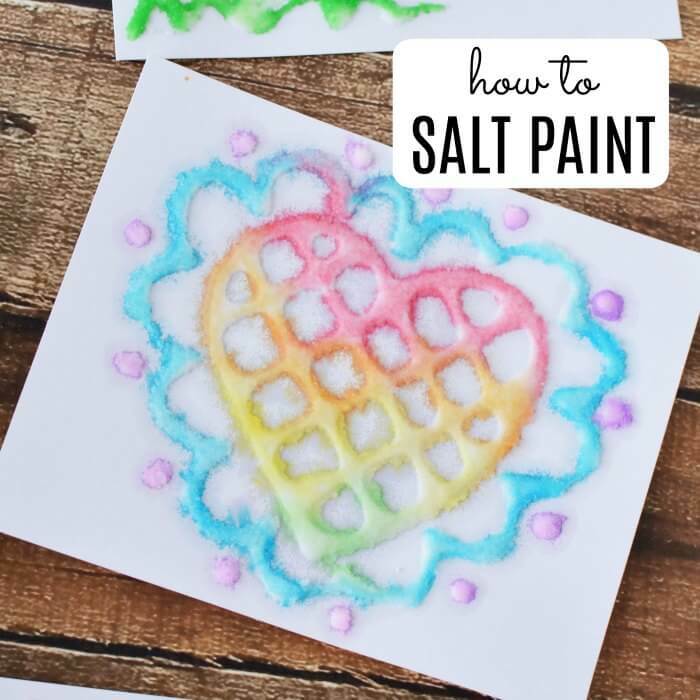 Use watercolor paints to gently paint onto the salt. 6. You won’t need a lot of water, but the more pigment color you have on your brush the better. Once finished, set aside to dry completely. 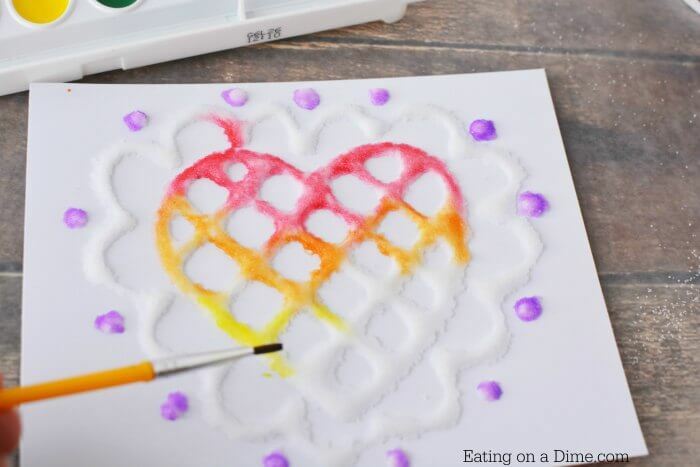 Glue Painting is such a fun and inexpensive craft to do with the kids! 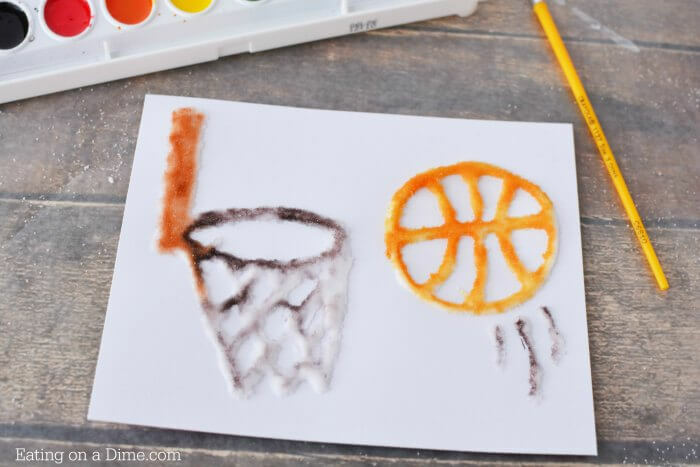 Make Salt Art today and see all the different creations you can make! Kid’s of all ages enjoy doing this activity! Gather the kids and start crafting! 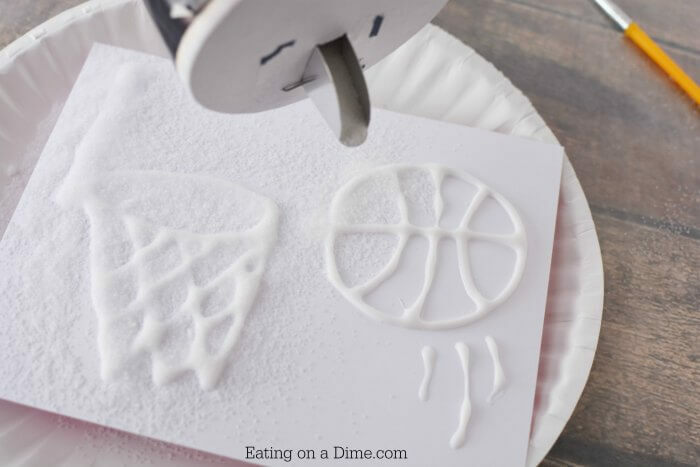 This is also a fun activity for a group of kids or even a party! Everyone can make the design they prefer. Just remember to use card stock because regular copier paper will not hold up! Have fun with this cool Glue Painting!